Some people love it… Some people hate it. 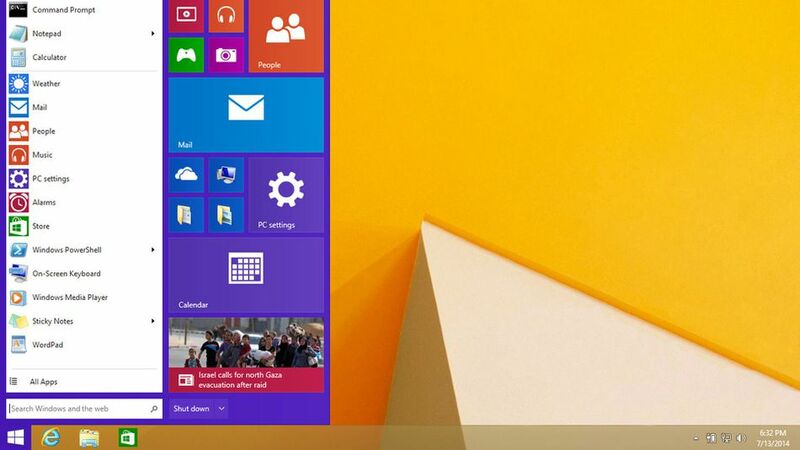 The most recent version of the Windows Operating System “Windows 8” has had some mixed reviews since it’s release. Window’s attempt to unify the design of their interface for all types of devices has not been an easy task for them to undertake. For a smartphone or tablet device, Windows 8 has made great use of their “Live Tile” system; making it easy to see a live feed of news and notifications for a user’s most important apps. Although, integrating the live tile system for regular desktop computer users has been a bit of a challenge. In most cases, it seems to confuse and frustrate a lot of it’s users with the new Start Screen layout instead of the old Windows 7 Start Menu that most people grew up with. In the near future, it appears that Microsoft will be bringing back the start menu to it’s desktop interface. As seen below, the new start menu will have a new look and feel, but have the old functionality that we have all been missing. It will also include a mini live tile menu to it’s immediate right so users have access to either type of menu system. Hopefully, this new update to the windows operating system will make everyone happy and a lot less confused.